« Cancelled! Bett Williams, Book Reading and Integration Conversation. Mt. 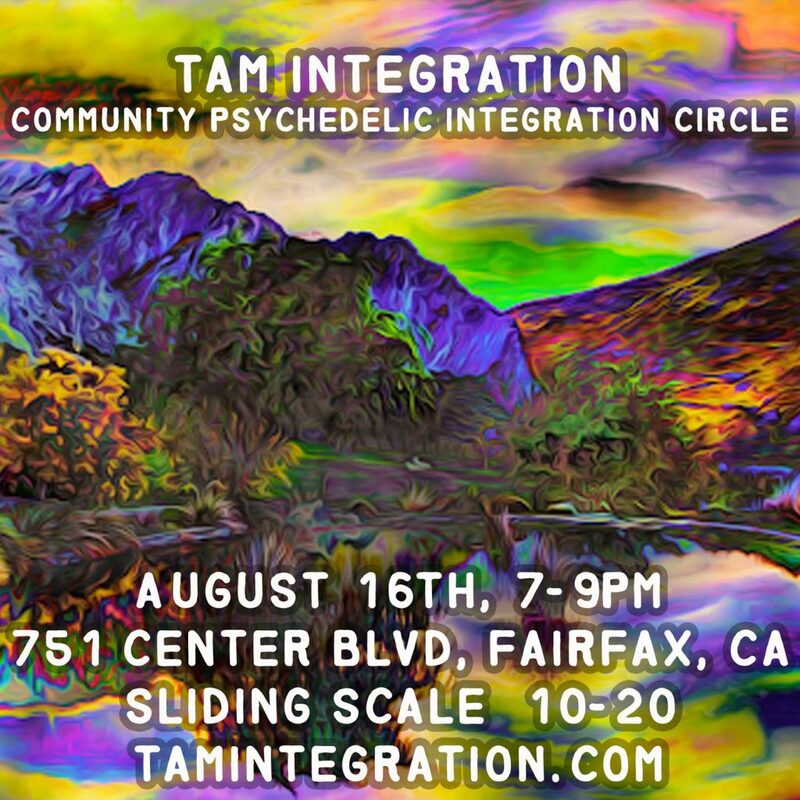 Tam’s Integration Circles and Educational events seek to be a welcoming space for people who want to discuss entheogenic use in a healthy way. When we have an intense or profound psychedelic experience, it can be hard to describe, especially when we don’t have anyone to talk about it with. Giving voice to our experience with like minded people can enable us to put things in perspective, gain new insight, and find resolution. 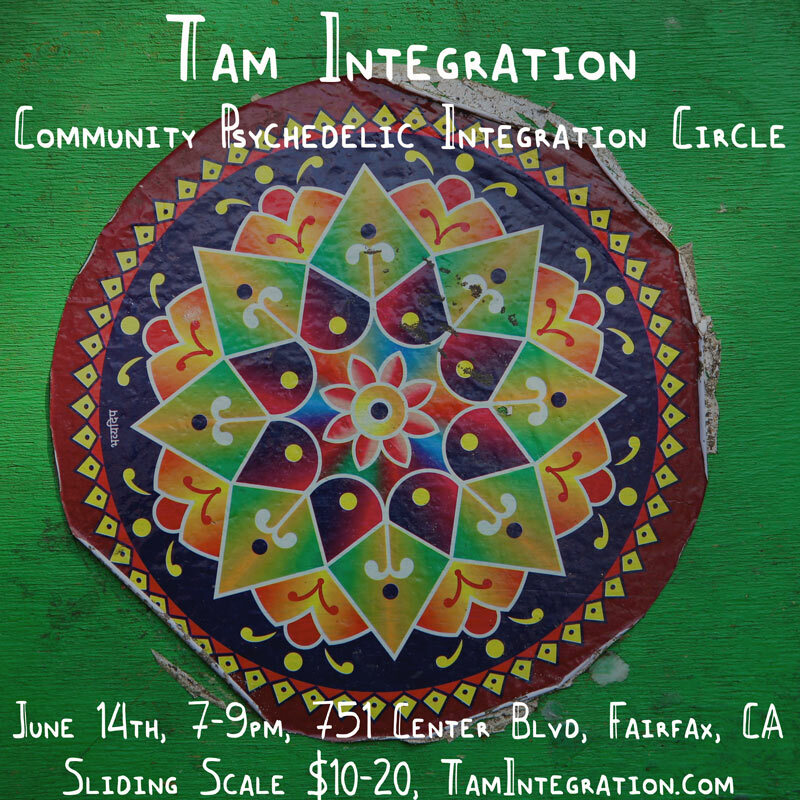 Join us for the December Psychedelic Integration Circle. Mt. 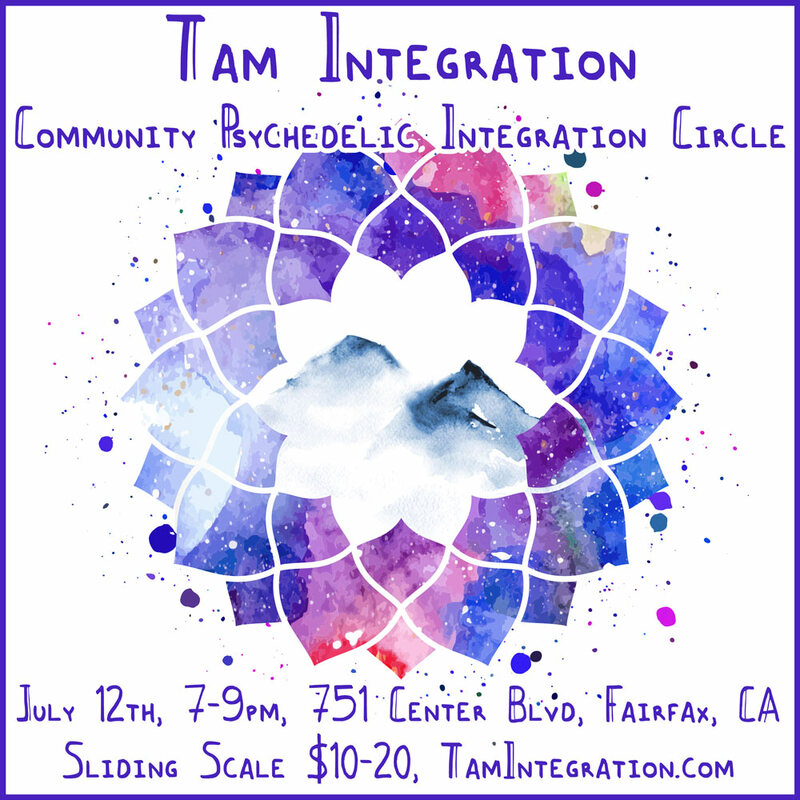 Tam’s Integration Circles and Educational events seek to be a welcoming space for people who want to discuss entheogenic use in a healthy way. When we have an intense or profound psychedelic experience, it can be hard to describe, especially when we don’t have anyone to talk about it with. Giving voice to our experience with like minded people can enable us to put things in perspective, gain new insight, and find resolution. By listening to other’s experiences, we can learn about how they try to ensure safe and healthy use, gathering a collection of tools and best practices. Our Circles give people an opportunity to meditate together, share their stories, ask questions, give and receive feedback. We are excited to hear all of your voices, and look forward to learning from all of you. If you have ability needs, visible or invisible, and you’d like support attending this event, please message us. Do not come here seeking to buy drugs. or sell drugs. or share drugs. or medicine. or whatever you want to call it. If it’s illegal, or has even the slightest potential to put the group or it’s members at risk, don’t do it. After a profound and intense awakening experience in 1998, Daniel dove deep into his yoga and meditation practice to stabilize his realization in his body and the world. He began teaching in 2002, and took over leadership of his neighborhood yoga studio in 2004. He’s directed several teacher training programs and taught on the faculty of even more. Once, he even taught vedic mythology at an online wiccan theological seminary online in second life. Daniel ‘Sitaram Das’ Shankin has dedicated his life to the cultivation of clarity, resilience, and heart. With the recognition that our true nature is vast and generous, wise, he strives to serve his clients in finding their own innate goodness and boundless strength. He currently offers leadership coaching with a heavy emphasis on mindfulness and somatics, and is based in Marin County. He co-founded the Psychedemia Conference and CryptoPsychedelic Summit, and is an advisor of both Psymposia and Psychedelic Times. I received a PhD in East-West Psychology from the California Institute of Integral Studies (CIIS) in 2005. My dissertation research entitled, The Challenges of the Return from a Shamanic Odyssey: A Heuristic Exploration, involved a ten-year apprenticeship with Pablo Sanchez MSW, a Native American curandero, who’s approach derives from the lineage of Maria Sabina. I am Co-founder of the Human Science Research Institute at UWG. I’ve worked as a Research Associate at Langley Porter Psychiatric Institute, UCSF, MacArthur Foundation Research Program on Conscious & Unconscious Mental Processes; Staff Counselor, Rhythm Society, Council on Spiritual Practices; Extended Faculty at the Institute of Noetic Sciences (IONS); Recipient of a Circle of Bridge-Makers Award in 2004; Alum. Advisor & Board Member, E.R.I.E., 2012-18; Peer-Counselor, M.A.P.S. 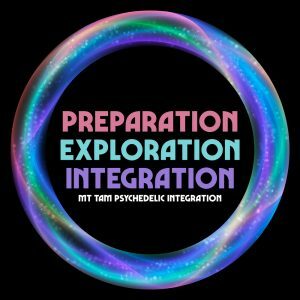 2017 Psychedelic Science Conference Workshop, Integrating Psychedelic Experiences. Recent Presentations: Psychedelic Society, ERIE & Spiritual Emergence Group at CIIS. Current research interests include: shamanism, sacred initiation process for post-modern culture, Integral Psychology of Sri Aurobindo, The Self Archetype as the Vessel for Lucid Awakening.